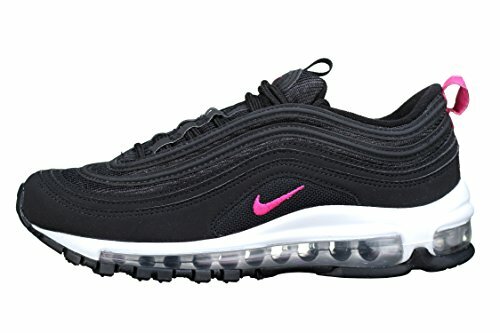 Nike Girls' Nike Air Max 97 Ultra '17 (GS) Shoe Black/Pink Prime-White 5.5Y by NIKE at Blood of The Young. Hurry! Limited time offer. Offer valid only while supplies last. NEXT STOP: LEGENDARY STYLE. nspired by a high-speed bullet train, Girls' Nike Air Max 97 Ultra '17 (GS) Shoe puts a modern spin on this running icon. NEXT STOP: LEGENDARY STYLE. nspired by a high-speed bullet train, Girls' Nike Air Max 97 Ultra '17 (GS) Shoe puts a modern spin on this running icon. A lightweight mesh upper, welded overlays and a full-length Max Air unit refresh the look of this in-demand sneaker.